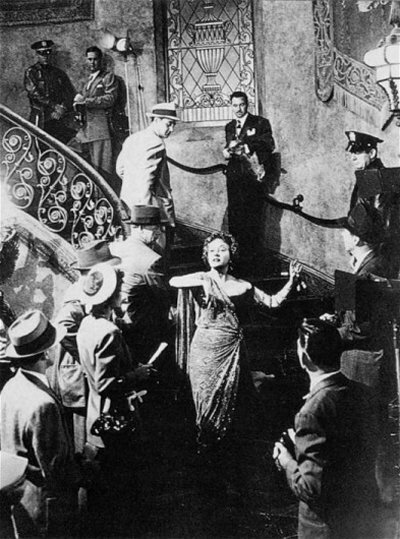 Screenplay by Charles Brackett, Billy Wilder and D. M. Marshman Jr.
You'd have turned down Gone with the Wind. No, that was me. I said, "Who wants to see a Civil War picture?" I'd always heard that you had some talent. That was last year. This year I'm trying to make a living. If I lose my car it's like having my legs cut off. Greatest thing that could happen to you. Now you'll have to sit behind a typewriter. Now you'll have to write. 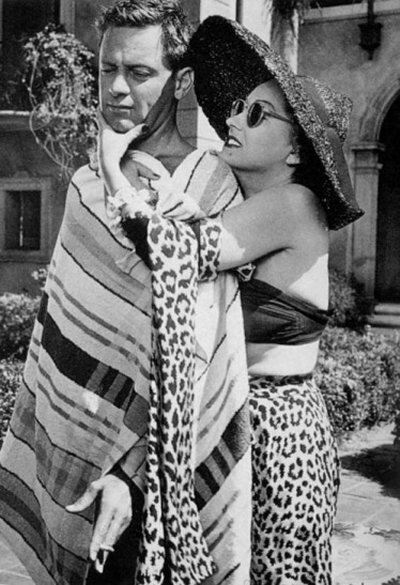 You're Norma Desmond. You used to be in silent pictures. You used to be big. The last one I wrote was about Okies in the dust bowl. You'd never know because when it reached the screen, the whole thing played on a torpedo boat. It's the story of Salome. I think I'll have DeMille direct it. We made a lot of pictures together. Salome. What a woman. What a part. A princess in love with a holy man. She dances the dance of the seven veils. He rejects her so she lays his head on a golden tray kissing his cold dead lips. They'll love it in Pomona. She must be a million years old. I hate to think where that puts me. I could be her father. I can't go on with the scene. I'm too happy. Mr. DeMille, do you mind if I say a few words? Thank you. I just want to tell you all how happy I am to be back in the studio making a picture again. You don't know how much I've missed all of you. And I promise you I'll never desert you again because after Salome we'll make another picture! And another picture! You see, this is my life. It always will be. There's nothing else, just us and the cameras and those wonderful people out there in the dark. Alright Mr. DeMille, I'm ready for my close up. 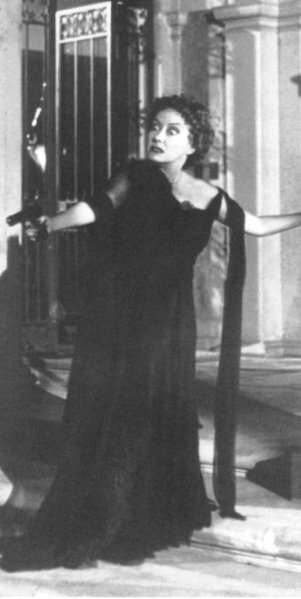 Director Billy Wilder wanted actress Pola Negri for the part of Norma Desmond. 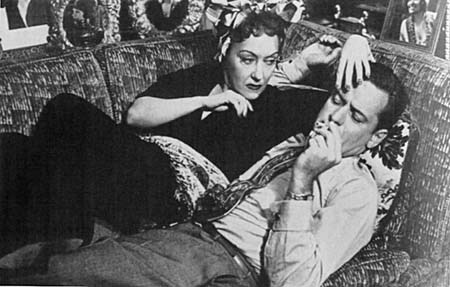 Heart-throb Montgomery Clift declined the role of Joe Gillis because he didn't want to play opposite the older female star Gloria Swanson. 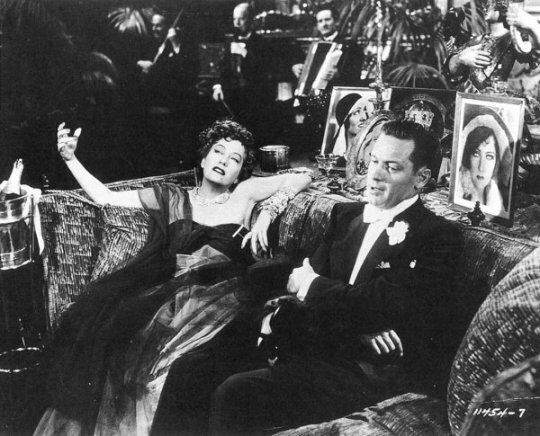 The film was originally planned as a comedy. It was co-art director John Meehan who came up with the idea for the film's opening shot of Gillis face down dead in the swimming pool.